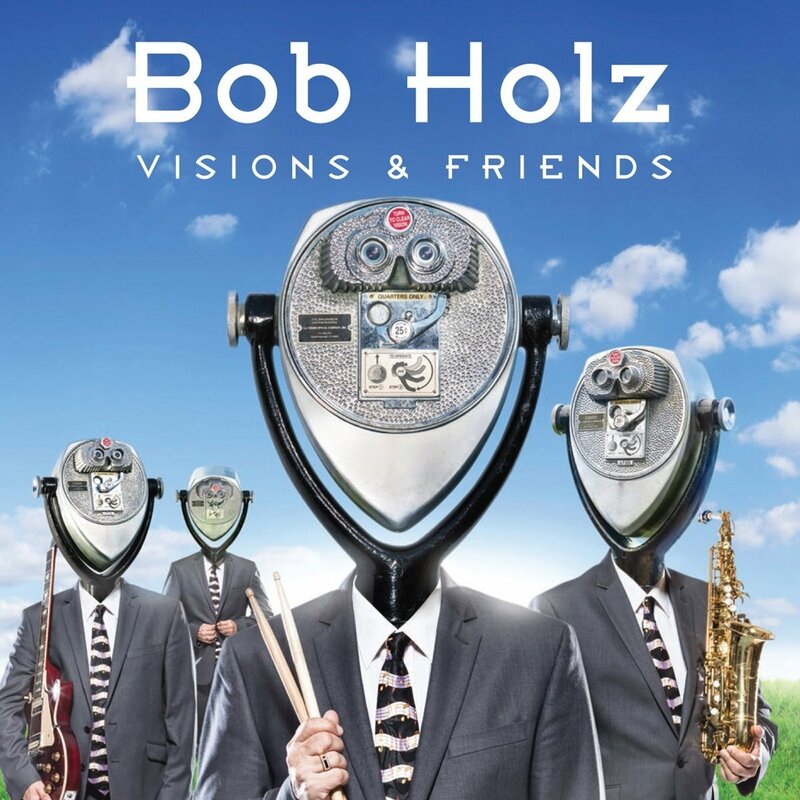 Bob Holz, popular drummer, composer and band leader has returned with his second MVD Records release, Visions and Friends, a further continuation of the contemporary jazz/funk fusion he spearheaded with 2015's acclaimed A Vision Forward album. The new album includes contributions from music legend Larry Coryell on guitar; iconic horn master Randy Brecker, and bassist Ralphe Armstrong (ex-Mahavishnu Orchestra, Sting, Frank Zappa and current Aretha Franklin band member). Furthermore, Holz has called on some very heavy musical friends to round out the band used for the record including Alex Machacek and Billy Steinway on keyboards. "My new album, Visions and Friends symbolizes the relationships I value so much and my musical compass," says Holz. "The idea is to always break through to new boundaries without walking away from the musical foundation you have already built." The album represents a reprise of many of the core players used on the A Vision Forward album. Additionally, New York based bassist Mike Schoeffter displayed stellar playing, both as a soloist and as an integral part of the rhythm section. The touring line-up includes Ralphe Armstrong and Ex-Spyro Gyra guitarist Chet Catallo. Visions and Friends will be released February 10th, via the international MVD Records label. Rob Stathis serves as Executive Producer. Stathis oversaw the mixdown and mastering with famed Los Angeles based sound engineer Dennis Moody. As with his last album, Visions & Friends covers a vast sonic landscape, moving effortlessly from modern jazz, to funk, to jazz-rock fusion. "Bob Holz is special. He fits the mold of a different drummer," says jazz legend Larry Coryell. He goes on to add that Holz's music has "a wonderful energy about it; His playing and tunes are a natural fit for what I do." Holz began his career in Boston attending Berklee. He went on to study with Billy Cobham in New York, and would go on to share the stage with Robben Ford, Les McCann, David Fat Head Newman, Cornell Dupree, Maria Muldaur, Dr. John and George Clinton / Parliament Funk. 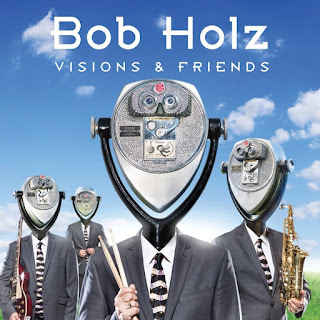 With his first album and now with Visions and Friends ,Bob Holz proved he is here to keep making music that is both innovative and memorable. He continues to make important contributions to modern music.